While it’s not as capable as the new, New Nintendo 3DS models, the Nintendo 2DS is still a viable option for those looking for a durable and “kid friendly” portable system with a heck of a lot of good games. So, this morning Nintendo announced that the 2DS will officially drop down to $79.99 (from $99.99) beginning on May 20th. The cheaper priced Nintendo 2DS will still include a full game download of Mario Kart 7 too, making it an even better deal. In the same announcement, the company also confirmed a couple of new 3DS titles that are headed to North America: Disney Magical World 2 and Style Savvy: Fashion Forward. Read on for the official press release from Nintendo. The entry point to Nintendo 2DS and Nintendo 3DS games and franchises has never been more affordable. On May 20, Nintendo will lower the price of its kid-friendly portable Nintendo 2DS system to a suggested retail price of $79.99, a remarkable savings from the previous suggested retail price of $99.99. Some systems even come pre-installed with the universally popular Mario Kart 7 racing game, making the new value price even more appealing for parents who are looking for an entry-level gaming system for their young gamers. Nintendo 2DS launched in October 2013 and is part of the Nintendo 3DS family of systems. The system comes with fun built-in entertainment options and applications to take photos and videos, plus wireless access to Nintendo eShop for those with Internet access. The unique design is built to make it easy for smaller hands to hold. The system includes two screens (including a touch screen) and plays Nintendo 3DS games, plus nearly all Nintendo DS and Nintendo DSi games in 2D. 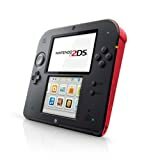 For details about Nintendo 2DS, visit http://www.nintendo.com/2ds. In the meantime, the Nintendo 3DS family of systems has a library of great exclusive games for every type of player, including New Super Mario Bros. 2, Animal Crossing: New Leaf, Pokémon Omega Ruby and Pokémon Alpha Sapphire. Some of Nintendo’s other big hits in the Nintendo Selects category are also available for a suggested retail price of only $19.99 each. The Nintendo Selects line includes great games like The Legend of Zelda: Ocarina of Time 3D, Donkey Kong Country Returns 3D, Mario Party: Island Tour and Yoshi’s New Island. Remember that the Nintendo 3DS family of systems features parental controls that let adults manage the content their children can access. For more information about this and other features, visit http://www.nintendo.com/3ds.